» UPDATE Aug. 5, 2016: Citi says it will begin reporting activity on the Costco Anywhere Visa® Card by Citi to the credit bureaus in September. However, American Express is reporting all previous Costco accounts as no longer open. The result is that people who carried the old Costco AmEx and have been moved to the new Citi card may see their credit scores decline temporarily. “Citi will begin reporting to the credit bureaus in September on Costco credit card accounts that were transferred from the previous issuer,” says Jennifer Bombardier, senior vice president of public affairs at Citi. ”The accounts will reflect the origination date provided to Citi by American Express.” That means your Citi Costco card will “inherit” the account opening date on your old TrueEarnings® Card from Costco and American Express. When the Citi accounts are reported in September, affected cardholders’ credit scores should go up again, all other things being equal. However, Bombardier declined to comment about that specifically. “Although we can’t predict the impact to cardmember’s credit scores, we’ve taken great care during this conversion to help maintain the accuracy of credit bureau reporting such that it does not reflect any unavoidable disruption in the transition,” she says. American Express also didn’t comment on potential credit impact, but clarified that the accounts were reported as transferred rather than closed. “As reported, we closed the transaction with Costco back in June when we sold the portfolio, and in the normal course of business, we reported these accounts as ‘transferred/sold’ to the consumer reporting agencies,” says Elizabeth Crosta, vice president of public affairs at AmEx. 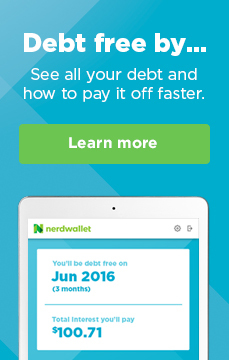 Below is NerdWallet’s original article on this subject, from January 2016. If you have the TrueEarnings® Card from Costco and American Express, you’ll probably get a new card in the mail from Citi and Costco sometime this summer, according to an SEC filing from Costco. But you won’t have to apply for the new card, and it probably won’t result in a separate entry on your credit reports. Costco announced last year that it was changing its co-branded credit card from an American Express to a Visa issued by Citi. Citi is expected to purchase AmEx’s TrueEarnings credit card portfolio by March 31. In that transaction, Citi will acquire the accounts of existing Costco cardholders, including information about debt owed and credit ratings. Current holders of the TrueEarnings® Card from Costco and American Express will get a new card — a Visa — as well as a new card number, because Visa and AmEx have different account-naming conventions. But it will likely show up as the same old account on your credit report. When credit card portfolios are sold from one bank to another, lenders usually opt to issue new cards while continuing to report activity as the same account, following credit reporting guidelines set by the Consumer Data Industry Association. Under current standards, the transfer and account number change is noted in the account description on credit reports, but it won’t affect the average age of your accounts or trigger a hard credit inquiry, meaning it shouldn’t affect your credit score. Your new Costco Anywhere Visa® Card by Citi and your TrueEarnings® Card from Costco and American Express should show up as the same account on your credit report. Such a change does not require your permission. If Citi wanted to report the card as a new account, it would have to get you to apply for a new card and perform a hard inquiry on your credit first. So far, it doesn’t look like that’s going to happen. “It is unlikely you will need to apply for the new Costco Visa Card,” reads an FAQ letter mailed to TrueEarnings cardholders last year. But the specifics have yet to be announced. “It would be premature to comment on specifics of the portfolio,” writes a Citi spokesperson in an email. Both Costco and American Express declined to comment on how new accounts might be reported. MORE: Does a Credit Card Upgrade Create a New Account? In an effort to retain customers who hold the TrueEarnings® Card from Costco and American Express, AmEx has been advertising its other credit cards — the Blue Cash Everyday® Card from American Express, for example — to customers in the Costco portfolio, according to a 2015 SEC filing. If you’ve received these offers, keep in mind that these new cards won’t show up in your mail automatically like the new Costco Anywhere Visa® Card by Citi. You’ll have to apply for them. That could trigger a hard pull on your credit and lower your average age of accounts, causing a small dip in your credit scores. However, at least one Costco customer has told NerdWallet of being approved for a new AmEx card without a hard pull. AmEx is not able to automatically convert TrueEarnings® Card from Costco and American Express customers to other AmEx cards with the same card number, American Express spokeswoman Elizabeth Crosta writes in an email. If you don’t shop at Costco frequently but want to keep using an American Express card, it might make sense to cancel your TrueEarnings® Card from Costco and American Express and apply for one of these offers — that is, after you’ve spent your annual TrueEarnings reward coupon, which is due to be paid out in February. But keep in mind that­ if you already have a proprietary AmEx card, you might not be eligible for an introductory bonus on a new one. If you frequently shop at Costco, waiting to receive the Costco Anywhere Visa® Card by Citi may be your best bet. On this card, you’ll earn the same rewards as you would with TrueEarnings® Card from Costco and American Express, according to Costco’s SEC filing. And because it’s a Visa, you’ll also be able to use it in more places. The switch won’t be completely automatic. If you have recurring payments set up on your account now, for instance, you’ll have to reset them on the new card. But you probably won’t be starting an account from scratch. You’ll build on an account history you’ve already established.